Sydney life can get pretty hectic, so sometimes you just need to reset by taking to the great outdoors and discover the natural beauty of our fair state. 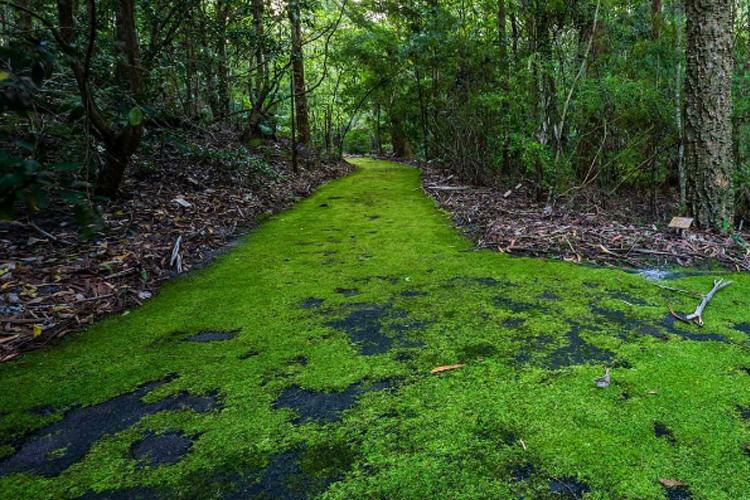 We’ve found just a handful of the best camping spots near Sydney that will make you want to drop everything and head into the bush. Depending on the size of your group and the type of camping you want to do, there are several options you can take at the impressive Booderee National Park. Green Patch is best for small groups and families, Bristol Point is great for larger groups but can’t accommodate caravans or camper-trailers, and you’ll find surfers camping amongst the coastal tea trees at Cave Beach. Once you’re settled, you can take guided walks through the botanic gardens, go bird watching, or enjoy diving and snorkeling off Murrays Beach. If you’re around in June and July, be sure to check out the whales from the viewing area at Cape St George lighthouse as they migrate north. It almost feels like cheating to have such a fantastic camping spot so close to the city, but Cockatoo Island is there and ready to be claimed. You can rough it (sort of) with a camping package that supplies you with an already set-up tent, a couple of camping mattresses and chairs, or you can BYO camping gear and they’ll just supply the site. There are also glamping packages, private apartments and elaborate modern heritage houses, but at that point it can barely be called camping anymore. On the island, learn about the early history of area with a self-guided journey or group tour, or you can hire a boat and go explore the Harbour. On one side there’s the ocean, the other, a pristine mammoth of a national park, and then there’s you, a camper with big ideas and small budgets. Around here, you get a great deal of bang for your buck with the entire 15,000 hectares of bushland as your entertainment for your weekend getaway. Set yourself up at the beachside Bonnie Vale campground then head to the beach for a dip. 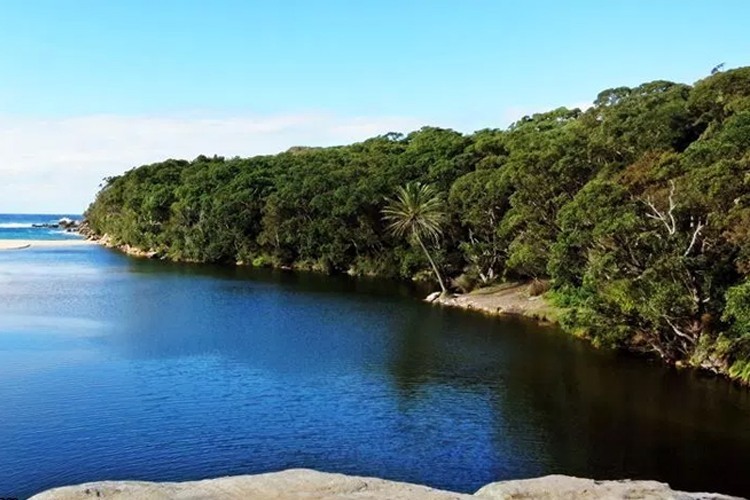 If you’re in the area in winter and want a bit of a challenge, have a go at the 26km Coast Track that runs from Bundeena to Otford (or just do a bit of it) and migrating whales might even wave you on your way! 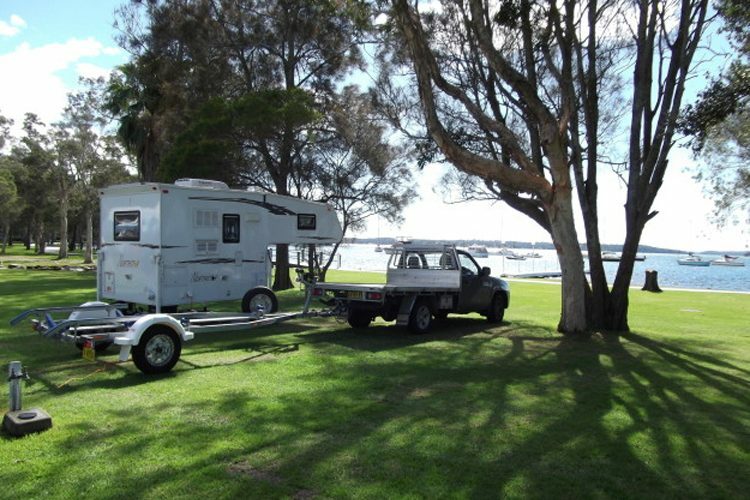 Around Lake Macquarie there are a great many accommodation options to choose for your adventure, from luxurious beachside hotels to holiday parks and campgrounds. Around Lake Macquarie you can enjoy the fantastic cycle paths, head out on the water in a canoe or boat, explore more than 30kms of beaches, and enjoy various outdoor activities around the area. Being part of a larger city, you also get all the convenience of fabulous restaurants, arts and culture, golf, and a local cinema at Lake Cinema. Unless you’re from the Gosford area, chances are you probably haven’t heard of Patonga, but as it turns out, it’s a fabulous and peaceful spot to pull up a tent and get busy relaxing. 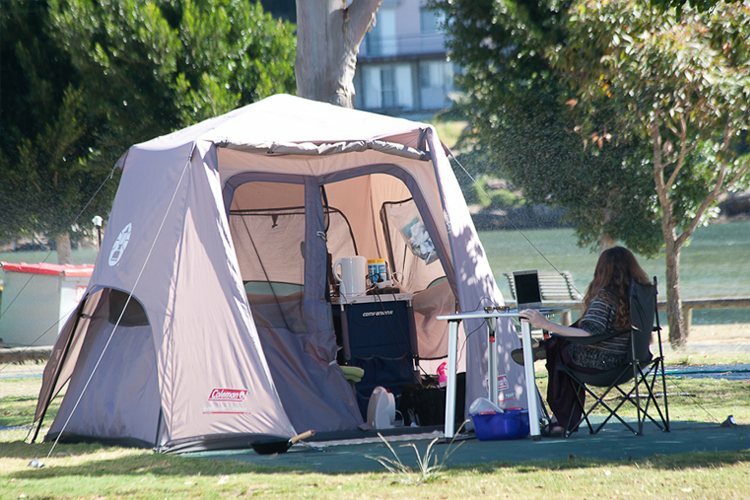 The tranquil bayside camping spot is right near the beach and the creek, has easy access to the Brisbane Water National Park with fantastic bushwalks to explore, and the site even has tennis courts you can hire. Take a ferry across to Palm Beach or get your boat out on the water to check out the scenic area from a new perspective. Even better, you’ll find some of the best fish and chips you’re ever likely to have just up the road at Patonga Beach Seafood. Next time you get back from your camping trip, don’t forget to let us know all about it! 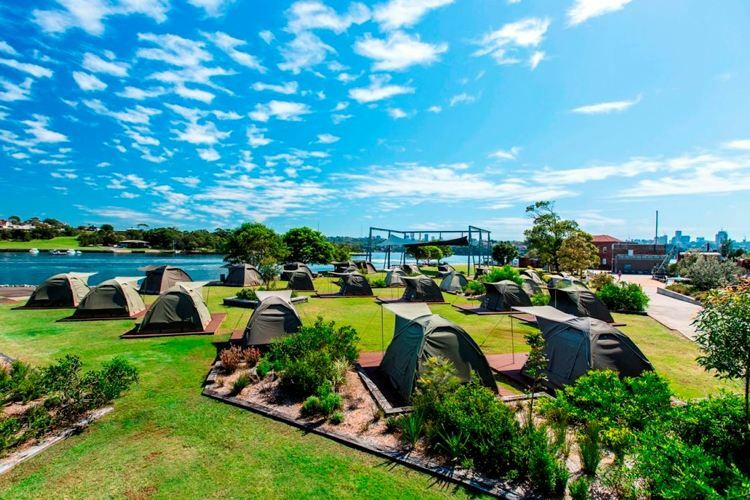 Escape the bright lights and hustle and bustle of city life and reconnect with nature with our list of some of the best spots to camp near Sydney.